. 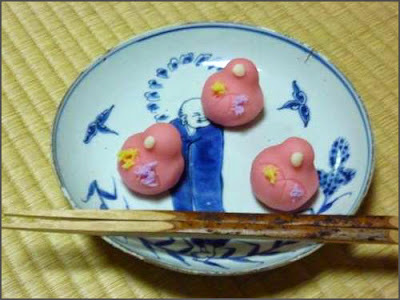 Daruma Food LINKS . 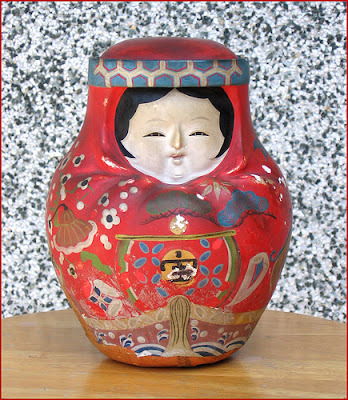 They come in all forms and patterns, from many parts of Japan, but mostly in the Western parts of the country. 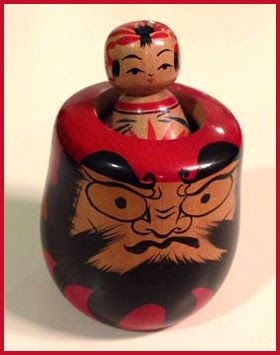 The Princess Daruma of Matsuyama comes with the following story. When the legendary Empress Jinguu Koogoo (Jingu Kogo), which we met already in the story about Uto Daruma, stayed at the Hot Spring Doogo in Matsuyama on the island of Shikoku on her way to the Korean battlefield, she realized that she was pregnant.
. Kaga Hachiman Okiagari 加賀八幡起上り　Okiagari Hime Daruma . Here is an old papermachee doll with a very special headband (hachimaki 鉢巻), almost looking like princess Himiko herself. It has a "Treasure Ship" (takarabune　宝船) painted on the belly. 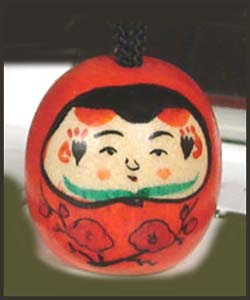 This kind of painting is often found in Daruma from Matsukawa, Sendai. 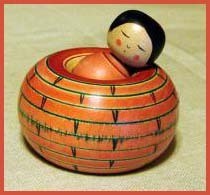 Do you know where this doll is from ? source : kijidaruma.co, Fukushima . 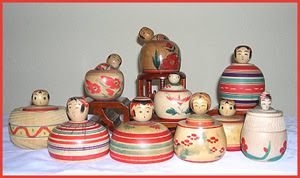 ejiko were made from straw, woven around a bucket. 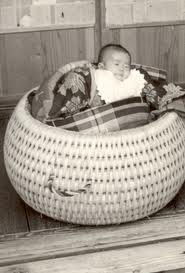 They were layered with special material to absorb little accidents, with a special hole for the buttocks of the baby. The urine could be collected in the lower part of the bucket. 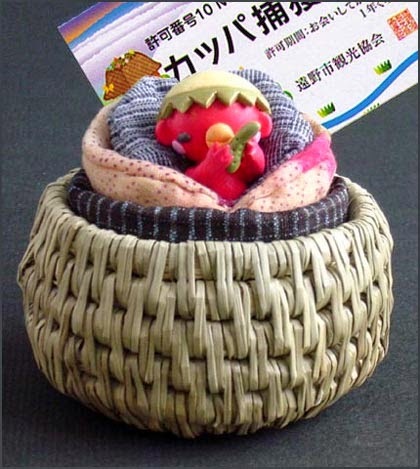 They are a speciality of Tohoku to keep the babies warm in the cold winter months. 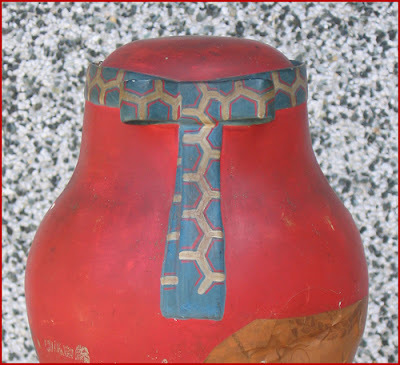 Sometimes the kokeshi can nodd with the little head.
. . . CLICK here for Photos of EJIKO baskets !